Becoming Invisible is the third book in a New Adult Series about finding unexpected love and a woman’s fight for survival. When fire consumes the Carlisle’s home and an obsessed serial killer continues to hunt Nicole and her family, Dylan and Bradley realize the only way to keep them alive is to help them become… invisible. 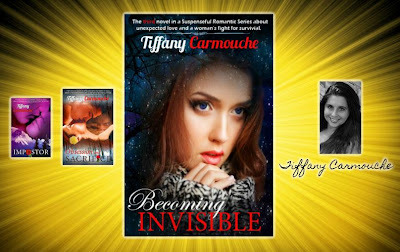 When Tiffany Carmouché is not writing romance novels, you can find her sculpting, traveling, teaching, singing, dancing, escaping in music or enjoying her family. From skydiving in Alaska to scuba diving in Hawaii, Carmouché has traveled the worls seeking adventure. These include riding camels in Africa, swimming under the stars in Puerto Rico, dancing salsa in Ecuador, and walking the cobblestone roads of Assisi, Italy. She has also found fulfillment working with the disabled and orphans in Argentina and Mexico. Her most cherished moments, however, have been watching her two beautiful daughters grow and strive to accomplish their own dreams. 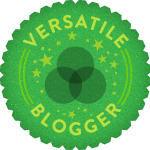 Despite all of these amazing experiences, she has survived many struggles. 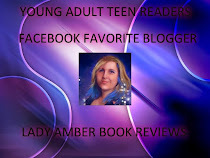 There was a time she felt defeated, but now she is recommitted to savoring experiences both in the novels she writes and in the life she lives each day. Her secret hope is that anyone who is struggling will realize there is a light at the end of the tunnel and no matter how hard the fight, no matter how many times they have been knocked down, it is always worth staggering up to their feet and learning to breathe again. Where to stalk me in…in a good way.